You don't even have to watch tonight's game to be part of March Madness. Take a break from the inevitable Tarheel victory and vote in our March Madness. It's down to the Final Four! Could this be the year that a newcomer takes the crown? Do The Evolution is the only previous champion, and it's up against the fierce burner, Last Exit. 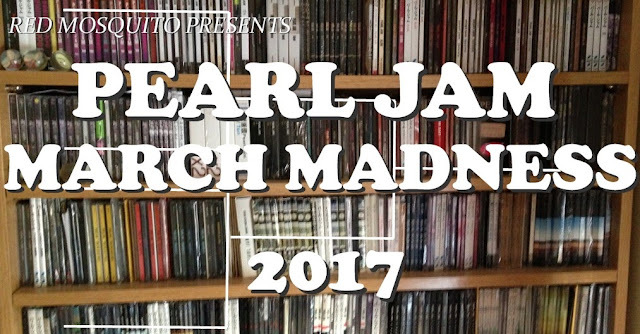 Whichever wins, they'll be up against two classics of Pearl Jam's introspective No Code/Yield era.